This volume is a companion to the author's previous book on wagons of the Forest of Dean. 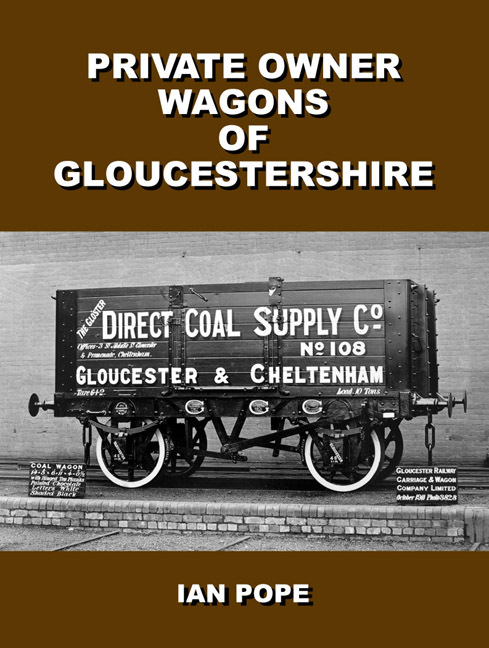 It takes a look at all of the known private owner wagon owners and operators based in Gloucestershire with almost 250 wagons being identified. It is illustrated with over 450 photographs, items of ephemera and maps, many of which are previously unpublished. Whilst the majority of the wagons belong to coal merchants there are also those for quarries, mills, a brewery and chemical works. As well as identifying the owners, the opportunity has been taken to give as much detail of their business as possible to give some idea as to how large the concern was and how long it was in operation. Thus, as well as being of interest to the private owner wagon enthusiast the volume also gives much industrial and social history for the county. 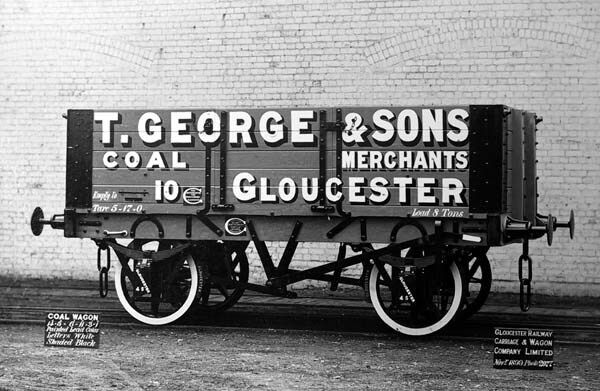 All of T. George & Sons recorded wagons were similar in appearance being of 5-plank construction. Wagon No. 10 was new when photographed in November 1899. It was registered by the Midland Railway on the 28th of the month, number 30270. It had been ordered in October and cost £67 10s. A repairing contract was signed at the same time for a fourteen year period. The wagon was finally broken up in 1944. GRC&WCo. Wagon No. 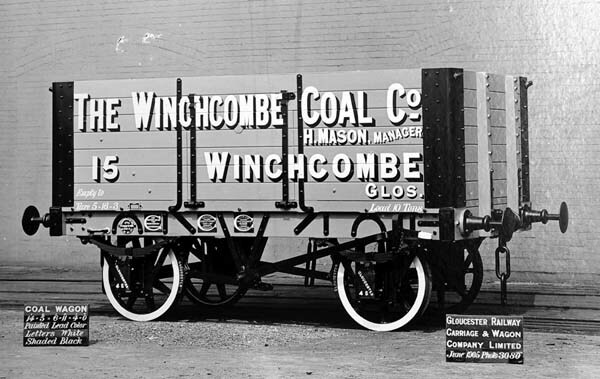 15 for the Winchcombe Coal Co. has an extremely pleasant appearance being painted lead colour with white lettering and black shading and ironwork. It was photographed in June 1905 and was bought new on seven years deferred purchase. It carries the Gloucester No. 43001 and was registered by the GWR. A repair contract was signed in July 1912 for a further seven years. GRC&WCo.